7 random letters are arranged, with one letter in the center and rest around it. Aim is to make four to seven letter words necessarily including the center letter in each word formed, using each letter just once. There should be atleast one seven letter word. Great way to pass time while engaging and challenging your mind. 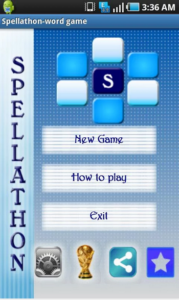 Spellathon tests your anagram skills as well as increases your vocabulary. Spellathon is highly addictive fun word twist game with a twist. Put on your thinking cap! 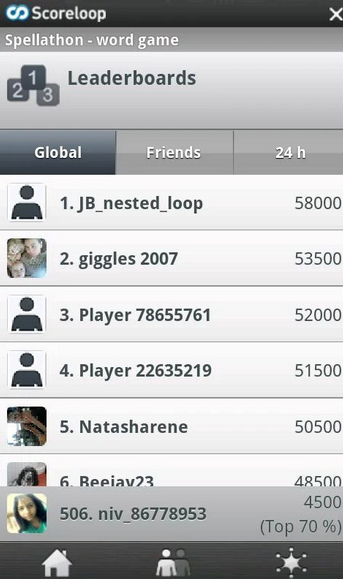 Top 25 brain apps on Playstore in 2012. Single handedly took care of every aspect of the app. Achieved 25,000 downloads and rating of 4.3/5 within the first month of release in October 2011. Currently 400,000+ downloads and 4+ rating without single dollar spent on advertisment. 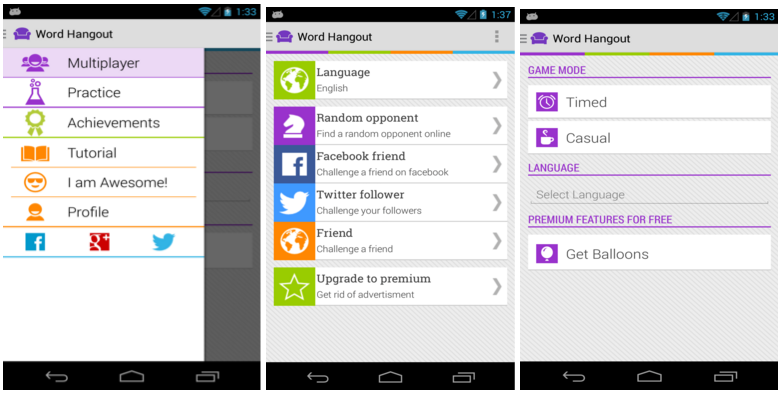 Developed android client logic to generate valid word combinations. Designed UI/UX for an- droid app. 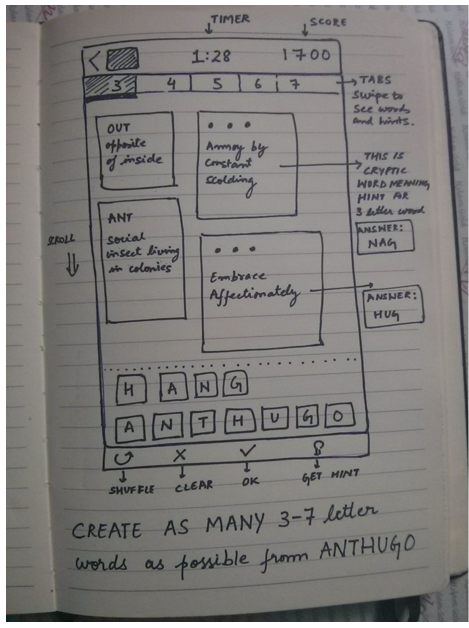 Managed correspondence with users to understand their requirements. Self Learnt growth hack- ing techniques and Appstore Optimisation skills. 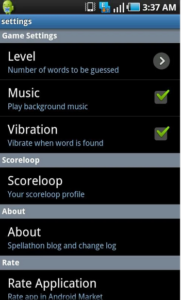 Online Scoring System using Scoreloop – compete with your friends to have best scores .Scores will be online so that you can compete with people worldwide. 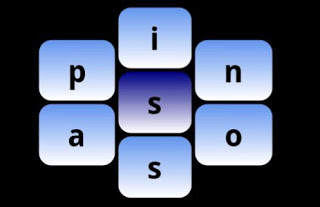 Hints – hints button to get partly guessed words. Shuffle- shuffle button to mix the letters surrounding center letter . In the above figure , 7 random letters are arranged in the form of Hexagon with “s” as center letter.You have to make 4-7 letter words which should contain the center letter. For example few valid words would be – “sans”, “snap”, “oasis”, “snips”, “pass”, “passion” etc. 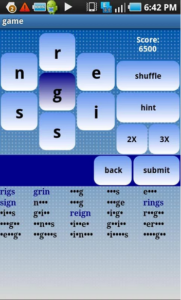 Word like “piano” would be invalid even though it is made up of letters, given as it does not contain the center letter. 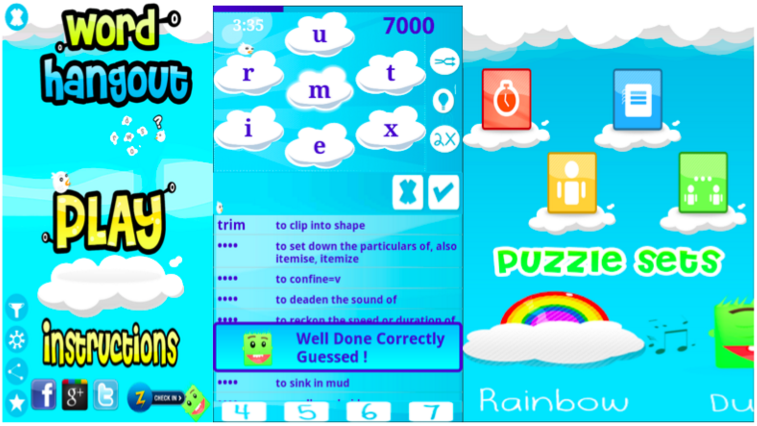 1.The scoring is done according to the length of the word guessed and total number of words to be guessed in the game. 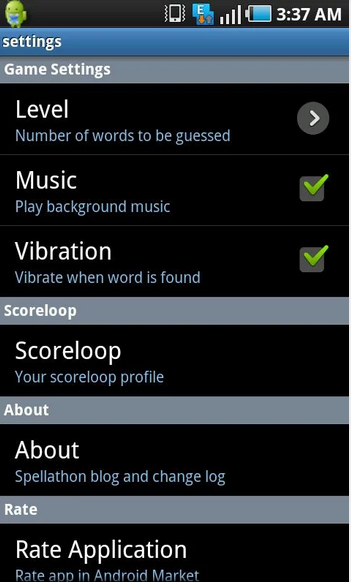 2.The scores are submitted to online scoring system using Scoreloop SDK. This can be done from view solution dialogue box. 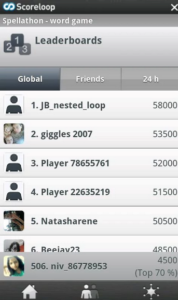 You can keep track of your friends as well as world wide high scores from the leaderboard. 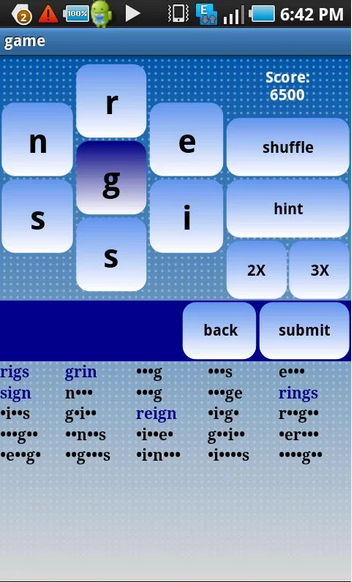 3.The points given to each word guessed reduces to half after hint button is clicked. 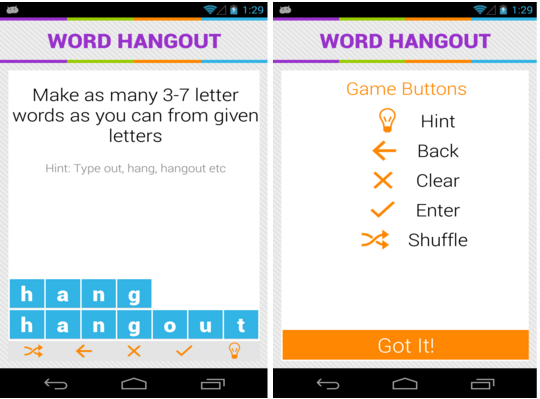 Designed and developed UI for New modified version of Spellathon called Word Hangout which would also have word meanings as hint. Creativity + Technology + Design = Hope :) Changing the world one Hope at a time.